It’s easy to create your own cleaning products from household items. Looking for an inexpensive and non-toxic cleaning product for your home? Look no further than your pantry. It’s easy to create a few simple all-purpose cleaners that can be used throughout your home, safely and effectively. There are numerous recipes available but we’ve created a basic kit for you and your family to use every day. 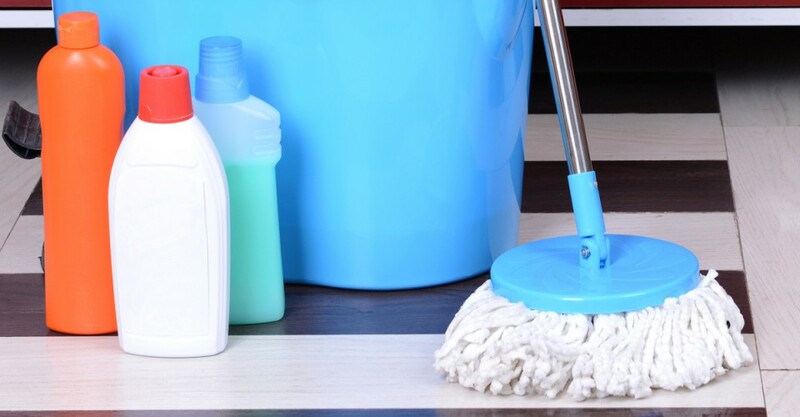 Like any new product, be sure to test a small area of the surface you plan on cleaning to ensure effectiveness. Caution: never use an acidic solution on natural stone as it will leave a mark. Even though these ingredients are non-toxic, keep them out of the reach of children and pets. Use to clean glass or mirrors with a dry cloth or piece of newspaper. The soap in this recipe is important. It cuts the wax residue from the commercial brands you might have used in the past. Combine ingredients in a spray bottle, shake, and use as you would a commercial brand. This is the perfect recipe for cleaning the bathtub because it rinses easily and doesn’t leave grit. Add enough liquid detergent to make a texture like frosting. Add several drops tea tree oil for a more thorough cleanse. Scoop the mixture onto a sponge and wash the surface. Note: Add 1 teaspoon of vegetable glycerin to the mixture and store in a sealed glass jar to keep the product moist. Otherwise just make as much as you need at a time. Use this for surfaces that require additional scouring or scrubbing. Combine 1 cup baking soda, 1 cup borax, and 1 cup kosher salt in a jar. Sprinkle on area to be cleaned, wipe with a sponge, and rinse. Use on porous countertops and floors. Be sure to test area first. Use on non-porous countertops and floors. Be sure to test area first. Add several drops of tea tree oil. Can’t find washing soda? Not to worry. The difference between baking soda (NaHCO3) and washing soda (NaHCO2) is water and carbon dioxide. If you can’t find washing soda in the store you can make it at home with one ingredient and one step. Place it in a 400’ oven and occasionally mix the soda for even heat distribution. You’ll start to see the baking soda transform into washing soda by noticing how it looks and feels. Baking soda sparkles and clumps and has a fine, powdery feel. Washing soda is dull, opaque, and the grains separate.